I had shortly heard about the new "Nail Detox" by L'Oréal so in fact I wanted to buy that one (one of the reasons why I haven't made a manicure post in ages is that my nails were pretty damaged after all this painting). 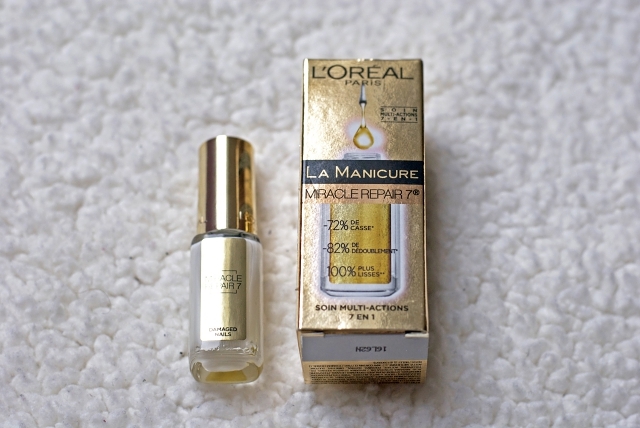 However when I saw the L'Oréal "La Manicure" range I found that the "Miracle Repair 7" would rather respond to my needs as it says to fight 7 signs of damaged nails. In fact it's not really a care but rather works like a base coat which makes your nails look brighter and more neat but also allows them to grow better and to break and split less. I only applied it this morning so I can't tell you if it works yet but I really hope that it will allow me to apply nail polish again without damaging my nails any further. If you want to I can keep you updated on this matter. Have you tried a product from the L'Oréal "La Manicure" range yet? Which other products do you use to cure your damaged nails? That shade of nail polish is sooo freaking stunning! 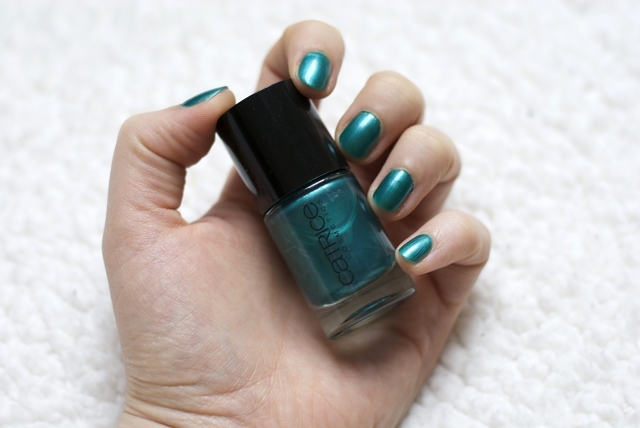 I love that slight tiny teal undertone to the green! It's beautiful! I personally haven't suffered much nail problems although I find that my nails cannot stay at a long ideal salon manicure length for too long without them making me feel strange! My nails have definitely seen better days - perhaps I'll try the L'Oreal product! Ad ahh that nail polish color is gorgeous!! Very Autumn-y and flattering on you! Der Nagellack sieht toll aus und passt ausgezeichnet zum Winter! I have a very similar shade and love it! Very nice colour. It's perfect for Fall.